Posted on January 16, 2018 by Anna C.
Just one month ago, headlines screamed that the Centers for Disease Control and Prevention (CDC) received a list of “banned words” from the Trump administration. One of those words was transgender, raising the alarm that the current president might be eyeing policies that would further marginalize the trans population and harm their health. (Other forbidden words include fetus, evidence-based, and vulnerable.) Some have argued it wasn’t Trump policy per se, but self-censoring on the part of the CDC to protect their budgets from being slashed by legislators hostile to transgender rights, abortion rights, science, people of color, and poor people. In any case, refusing to use words like transgender can have grave consequences for trans health. If the CDC can’t reference the trans population when requesting money for services and studies, they will be hobbled in their ability to serve that population’s needs. Recommendations for cervical cancer screening are the same for anyone with a cervix, whether trans or cisgender. January is Cervical Health Awareness Month. Anyone who has a cervix can develop cervical cancer — including transgender men who have not had their cervixes surgically removed. In observance of the month, and in defiance of directions to avoid the word transgender, today we’ll discuss the importance of cervical health in trans men — and why taxpayer-funded entities like the CDC and the National Institutes of Health must be able to study and serve this population. Posted on January 21, 2014 by Anna C.
It’s January, which means that it’s Cervical Health Awareness Month! If you have a cervix, there are two big things you can do to protect its health: get vaccinated against human papillomavirus (HPV) before becoming sexually active, and receive regular Pap testing after becoming sexually active. When you take both of these steps, you can maximize what modern medicine has to offer. However, some people think you can just do one and ignore the other. Are they right? HPV isn’t just the “cervical cancer virus” — it’s a jack of all trades that can trigger cellular abnormalities all over the body. One of the cancers most commonly caused by HPV is cervical cancer. In fact, when Gardasil, the most popular HPV vaccine in the United States, made its debut, it was marketed as a “cervical cancer vaccine,” despite the fact that HPV can cause other types of cancer. 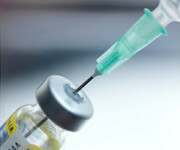 Nevertheless, a vaccine that could protect against such a common and potentially dangerous virus was good news indeed. 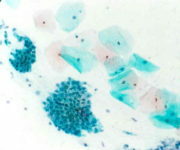 However, some critics were quick to point out that cervical cancer is rare in the United States, thanks to widespread access to Pap testing, an effective screening procedure that can catch cellular abnormalities when they are still in their “precancerous” stages, allowing them to be treated before progressing to cancer. Posted on January 14, 2013 by Anna C.
If you follow health news, you might have noticed some controversy over certain cancer-screening methods: Does the evidence support mammograms as a tool to reduce breast cancer deaths? Are PSA tests effective in saving lives from prostate cancer? These are questions that we are beginning to answer as more and more evidence comes in. But don’t let these questions dissuade you from all cancer screening. With regular Pap testing, cervical cancer is almost 100 percent preventable. In fact, although we’re reevaluating data for other cancer-screening methods, we have mountains of solid evidence that the Pap test is one of the best cancer-screening methods out there. Because it detects signature mutations that mark cells as headed toward becoming cancerous, Pap testing detects “pre” cancer while other cancer-screening techniques, like mammography, only detect cancer. Cervical cancer used to be a top killer in developed nations — and it remains a major cause of death in countries without widespread health-care access — but in the last 50 years, cervical cancer deaths fell by 70 percent in the United States, transforming cervical cancer from the leading cause of cancer death among American women to a less common, nearly preventable cancer. Despite this, you might hear people complain that the Pap test isn’t accurate, citing the possibility of receiving “false positive” or “false negative” results. True Positive: Cellular abnormalities are detected, and they are in fact present. True Negative: Cellular abnormalities are not detected, and in fact the cells are normal. False Positive: Cellular abnormalities are detected, but the cells are actually normal. False Negative: Cellular abnormalities are not detected, but are actually present.